A little bit of filler today as I recuperate from the Death Clocks and ready myself for the next comic challenge. And now you know! 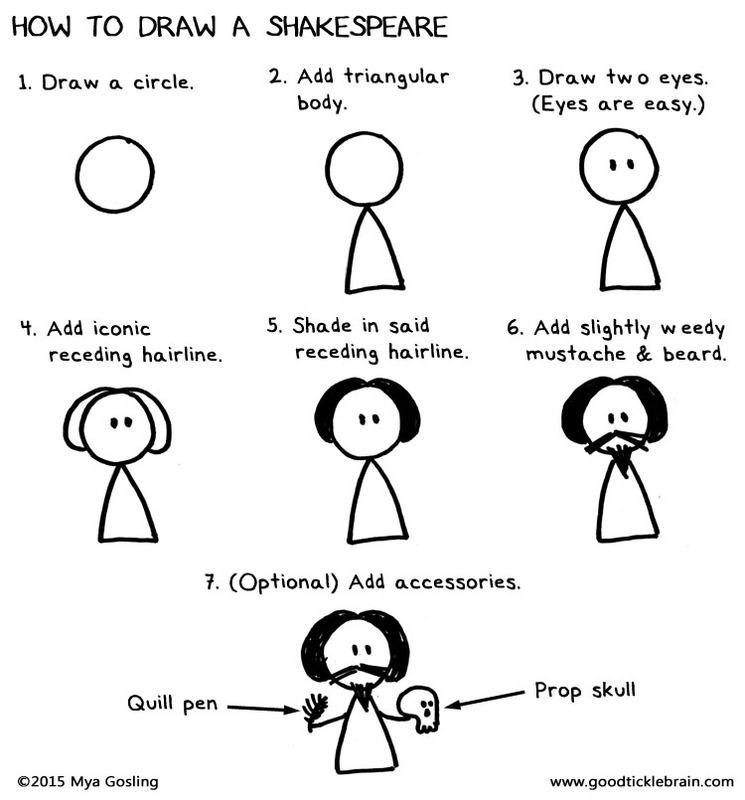 If you feel so inspired, draw your own Shakespeare (using my template or your own superior artistic skills) and share them with me on Facebook, Twitter, Tumblr, or Instagram. I'll share 'em online and in my weekly newsletter (sign up here)!